We scheduled this project to be completed while we were out of town. It made us a bit nervous to not be there overseeing the work, but quickly realized upon our return that our fears were unfounded. The work was incredible and our home was left immaculate. We love everything about our new fireplace! 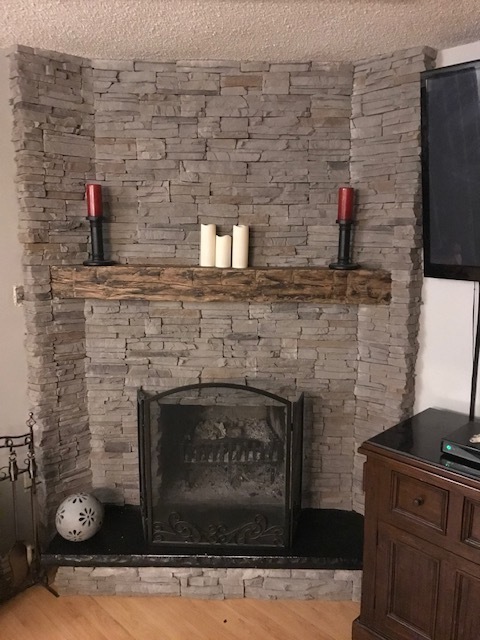 My husband and I are in love with the look of our fireplace. I would highly recommend Stone Selex to any one. We receive a lot of compliments. Thank you Wendy! We are ecstatic that you love your new fireplace. I bet it is a great focal point for your room. Thank you again for your kind words. From start to finish Stone Selex staff Andrea, Karen and Adam made our project an amazing experience! It's not often you find such caring people in the renovation world!! They all went above and beyond through our last minute stone selection changes, tight timing just before Christmas and a very professional installation, bravo!! I will definitely use their services again and would recommend them to friends and family. Thank you Mike and Milena. We are over the moon about your kind words. We are pleased that you love your renovation. 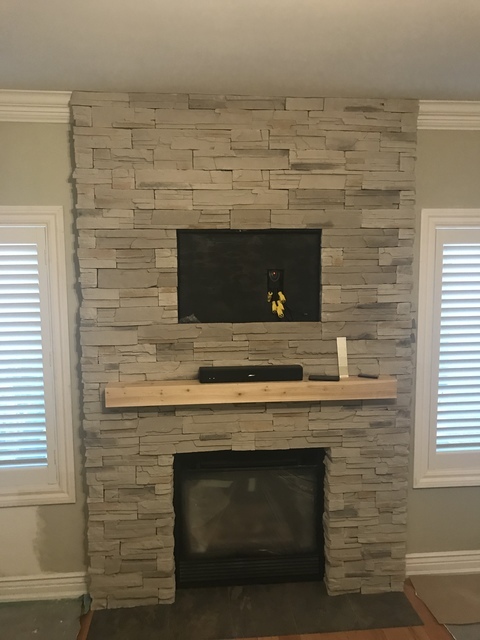 If you get a chance please post some pictures of your Natural stone backsplash and fireplace. Looking forward to working with you again. 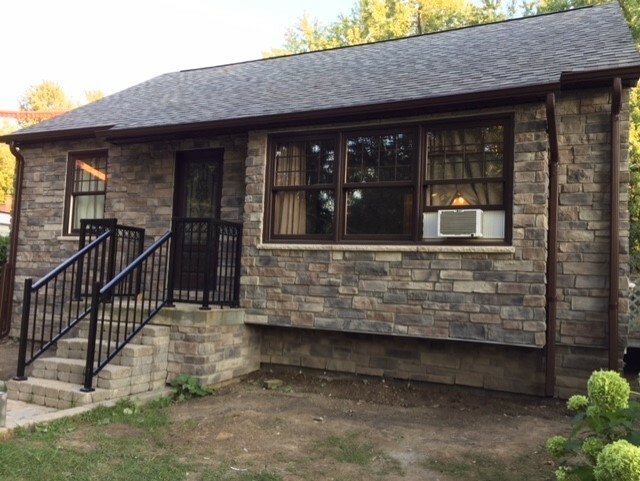 We did our research and chose Stone Selex because of their impeccable reputation. We next visited their impressive showroom, chose our stone and arranged for installation. Robert came on time, carefully installed the stone and finished the project in one day. We are very pleased with the job they did. It surpassed our expectations and certainly recommend them to others. Thank you for your review. Your kind words mean a lot to us. We are very happy you are enjoying your new fireplace. 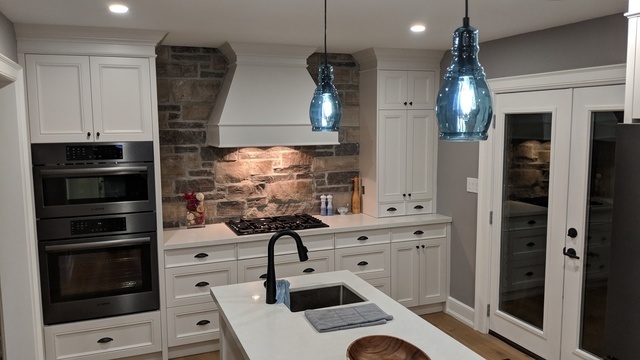 Quick Fit Kentucky was a great choice of stone. I'm sure it has added a new focal feature to your room. We recently decided to add a mudroom to our house and as such needed to give the house a facelift. 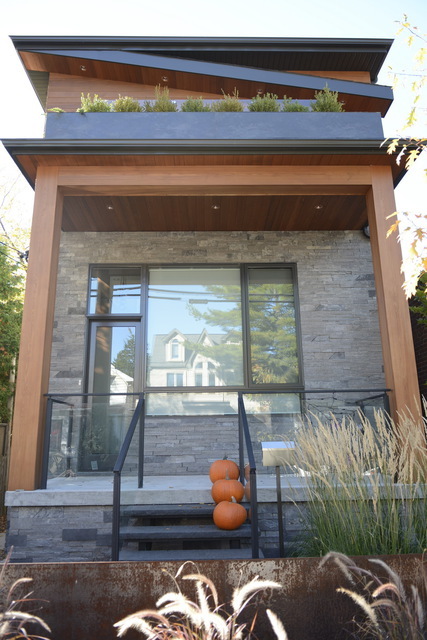 We decided on stone and siding and chose Stone Selex for the stone (purchase and installation). I was very please they were able to move the project forward a few weeks and did a great job on the installation. Very nice result and I would recommend them for your stone project. 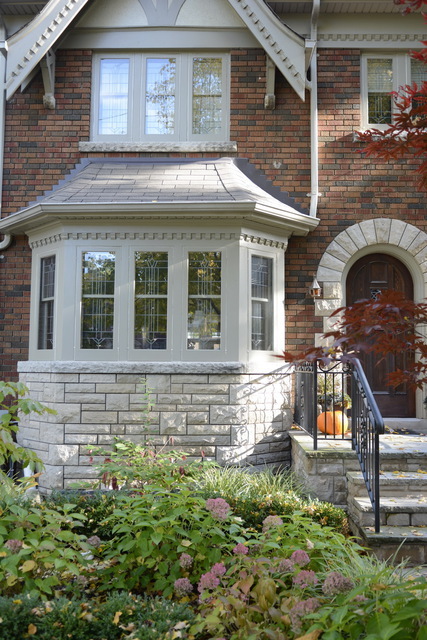 We are incredibly satisfied with the stone work on the front of the house. Andrea was a pleasure to work with. She took the time to explain every detail to us, ensured we got exactly what we asked for and made great suggestions. She is very professional and ensured the job was done right, thoroughly checking everything. The guy that did our stone work was outstanding, fast and professional. We would highly recommend Stone Selex and would definitely work with them again. Thank you Sandra for the wonderful review. We are so pleased that you love the new stone for your house. Can't wait to work with you again. 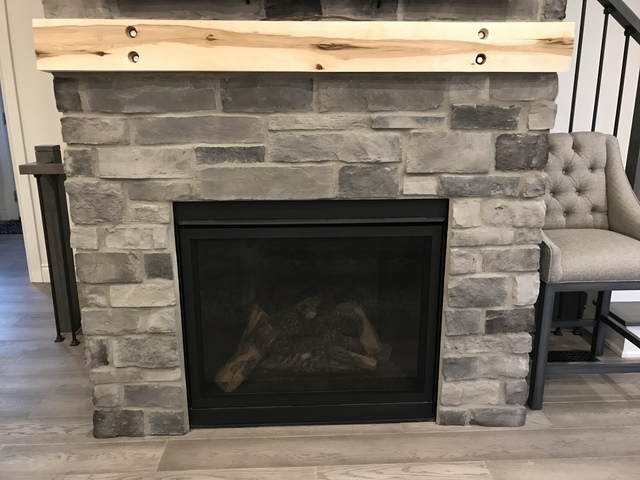 We visited StoneSelex showroom for some fireplace stone remodeling ideas. We met with Andrea McKendry and everything was very easy from there on. Very professional and approachable Andrea suggested some ideas and we started. Robert, the installer was on the top of his game. With sound experience he offered some ideas and Did an outstanding job. Thanks Lou, We appreciate all your kind words. We are always here to help with idea's and advice. After some research, we decided to use Stone Selex for our project. Andrea responded promptly. She was accommodating with our preference and guided us to the style of stone, the colour selection and the overall design. During the installation, there were some issues, Andrea addressed them in a timely and exemplary manner. The installer Andriy and his team worked very hard with good attitude and cleaned up the site very well. The work was completed professionally and on schedule. The stone installation has increased the curb appeal of our home. We highly recommend Andrea and her team. Thank you for the amazing review. We are very pleased your installation went smoothly and that you love the end result. We went to many other companies and Stone Selex by far was the superior choice. From the showroom, service, price, to installation, and follow through! Our installer Robert was amazing! Thank you for your kind words. We are very happy that you had a great experience with us. 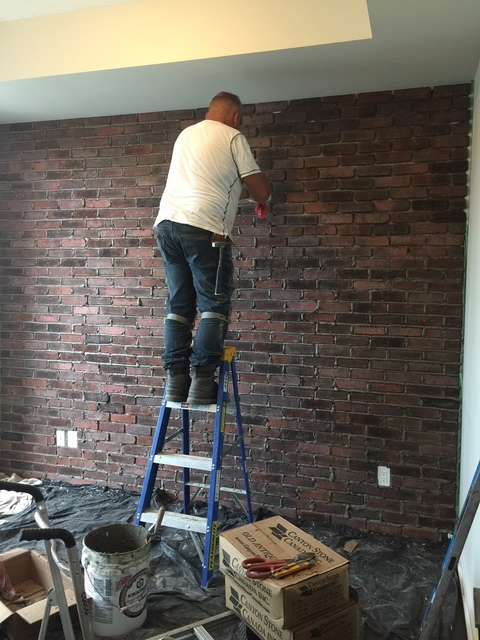 I decided I wanted a faux brick wall in one of my rooms. Google lead me to StoneSelex. Their website was great but I decided I wanted to see actual samples. Karen was the friendly face that greated me and helped me at the showroom. I described what I was looking for. She let me know that samples could be borrowed ($40 deposit for each which is returned when you return the samples). Karen helped me select a few to take home. Once my decision was made I returned the samples. I received my quote early the next day. I confirmed the quote and my job was scheduled in less than a week. Karen called to confirm the details. I live in a condo so the elevator had to be booked. The installers arrived on time as scheduled. They laid down drop sheets from the front door to the work area. Their work methods were neat, clean, organized and very efficient. I worked away in the other room almost unaware of their presence. Progress was incredibly quick. In less than 5 hours the project was complete and Adam & assistant were gone. All that I had to do was a bit of clean up as the process leaves a very thin layer of dust on the surrounding surfaces. Thank you MarlyRay. We are very pleased that you are enjoying your feature brick wall. 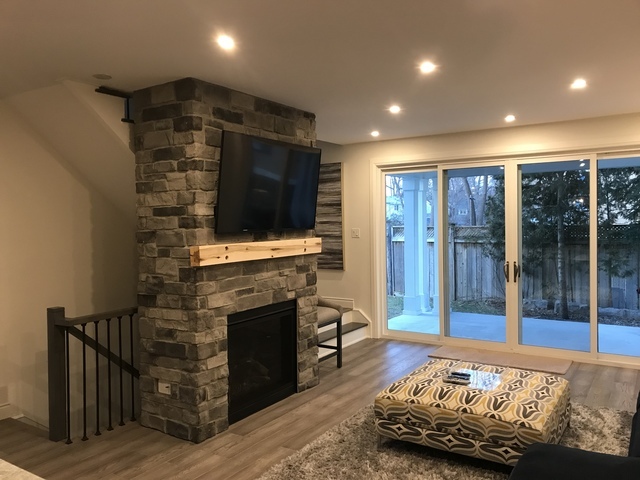 From design to installation, Stone Selex Design is a premier company with over 20 years of experience providing both residential and commercial customers with quality installation and a high level of customer satisfaction. 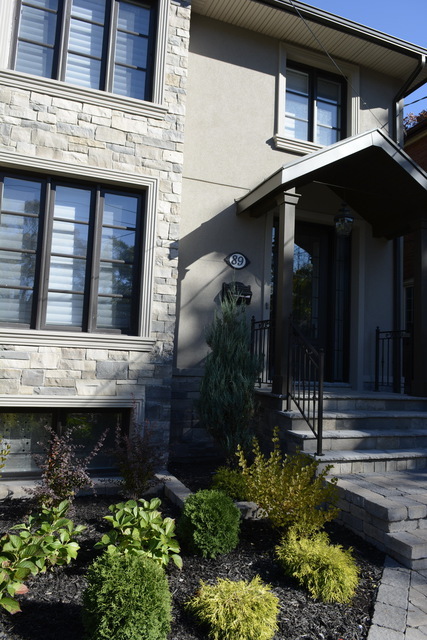 Stone Selex Design is committed to providing full service installation for your exterior or interior stone veneer project. 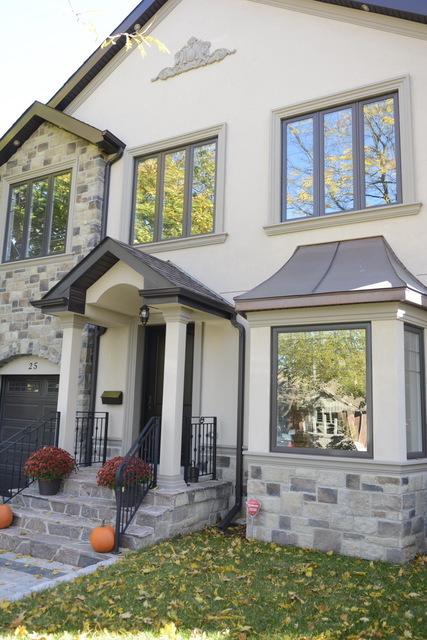 We also provide installation of stone veneer, stucco, brick, siding, masonry and fireplace transformations. Design your own project with the NEW Stone Veneer Visualizer and have Stone Selex Design install it for you. The Visualizer gives you the ability to envision your project from the comfort of your computer screen. It has the power to transform a photo of your home into a professional digital rendering by adding siding, stucco and stone. 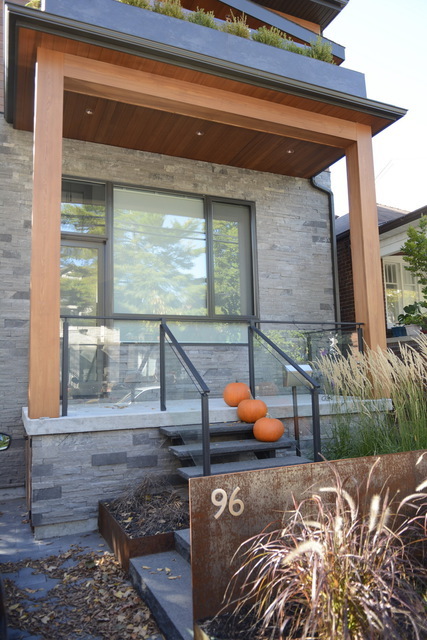 Make your home the talk of the neighbourhood with stone and stucco, or stone and brick, or siding and brick, stone tile and wood siding. The possibilities of style and colour combinations are endless. 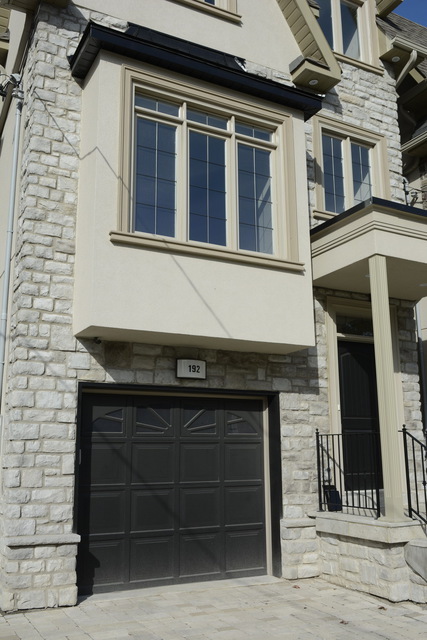 A Stone Selex Design project manager will help you with each stage of your project from where to add stone, stucco, siding, brick and masonry and provide you with a quote for our installation services provided by our experienced masonry installers. 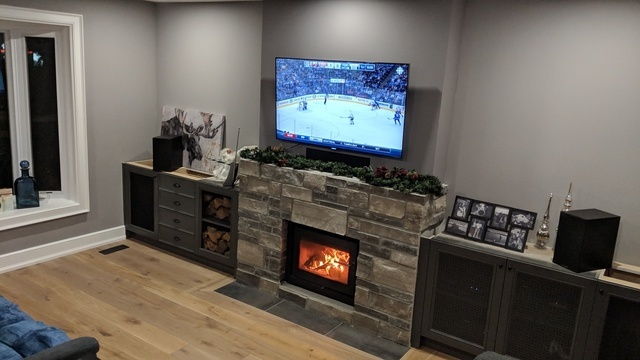 If it’s a fireplace that you want to create or just simply add stone, tile or masonry, Stone Selex Design and the visualizer can help you with this too. While you are in the planning stages of your fireplaces transformation the visualizer is a great tool to use. 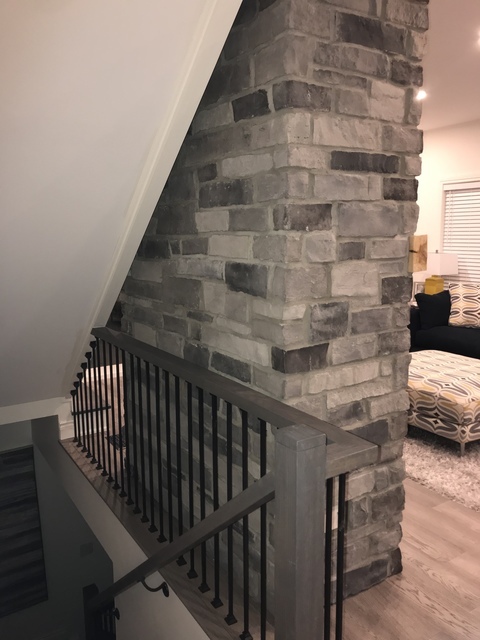 Look through photos for ideas and see what others are doing and then come to Stone Selex Design and ask us to install it for you.